I’ve noticed a phenomenon with older technology (mainly computers) that I cannot find an answer to. It’s odd, a real head-scratcher, and doesn’t necessarily mean something’s wrong with the unit. I first noticed it a few years back when working on a friend’s computer. I’d hooked it up on my test bench and turned it on. After a minute or so I could smell a distinct odor coming from inside the unit’s case. 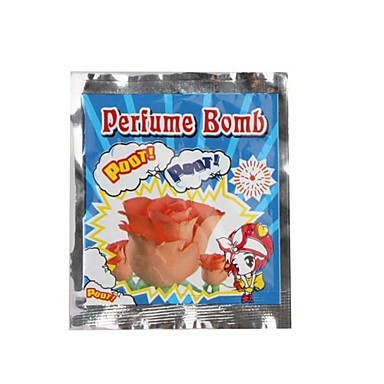 It was slightly sweet, almost like a perfume. Since this guy was living alone at the time and I knew he wasn’t given to wearing Liz Taylor it was puzzling. I’d opened the PC’s case and looked around—nothing was amiss—and decided to give the unit a good dusting out. After going over it with an air compressor and a clean dry paintbrush to dislodge any hangers-on, I let the case air out overnight. When I turned the power on again the odor returned. Most people might think that an electrolytic capacitor had blown up and caused the smell, but that leaves a visible mess as well as a very distinct odor which is unlike what I smelled. The PC’s problem was a corrupted software installation so I repaired and returned it. The computer functioned well for several more years before being retired. The same friend upgraded his family’s computer a year or so and gave me his old one. Guess what? It exhibited the same smell. Okay, I thought, it must be something in his home environment that’s getting sucked into the computer’s air vents. Again, the computer itself worked fine but had a dead power supply. I removed the motherboard and transplanted it into another case. When the computer was turned on I could still smell the odor but more faintly. Recently a different friend gave me a netbook so that I could attempt retrieving some files. This one had been dropped which shattered the built-in LCD display. I hooked it up to work on it, and guess what? The same smell filled my workroom. This time, however, the friend is female, has children, and multiple dogs. There’s one small fan in the netbook from what I can tell as it uses an external brick-type power supply. I mentioned this to a friend who runs his own electronics repair shop. He’s never noticed the phenomenon with all the various electronic detritus that has crossed the doorway of his shop. Several weeks back I acquired a Playstation 3 that had ceased to operate in the hopes of fixing it for myself. It also has the smell. I only had it on for a short time and I can still smell it well over a week afterward. Scented electronics…surely there’s a market for that.